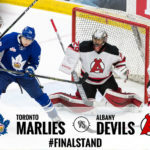 ALBANY, NY – In a season full of milestones, the Albany Devils added one more to the record books. 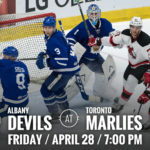 Their 5-0 victory against the Rochester Americans Friday at Blue Cross Arena helped the Devils reach the 100 point plateau. 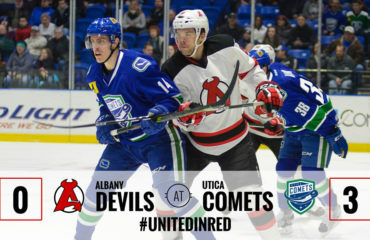 They are the first Albany team to hit the century mark since the 1998-99 River Rats. Prior to the 1998-99 team, only three other teams had registered 100 points in a season: ’94 -’95 (109), ’95-’96 (115), ’97-’98 (103). 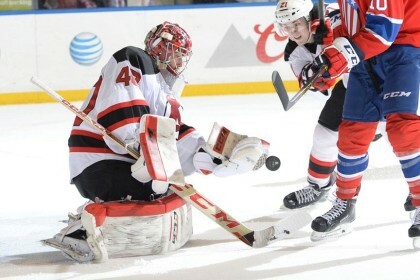 The Devils improved to 45-20-8-2, while the Americans moved to 34-36-3-1. 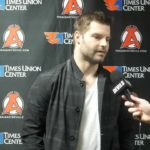 Yann Danis, who already owns the franchise record for shutouts in the season, increased his total to eight. 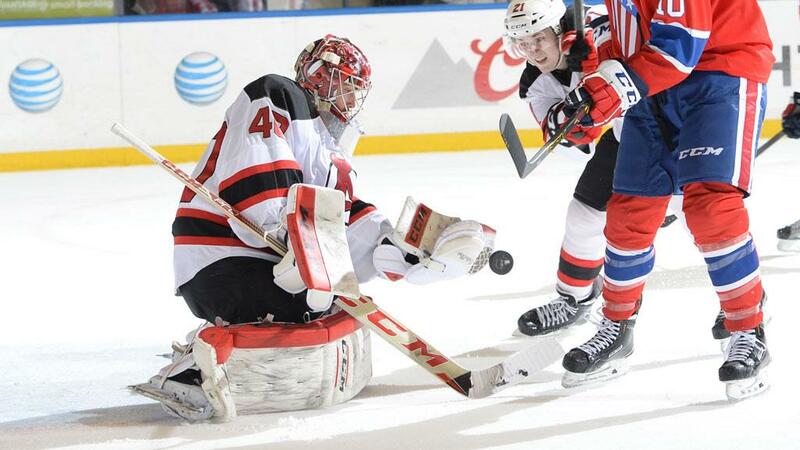 He made 27 stops for his 28th victory, tying Jeff Frazee (2008-09) for the franchise record for wins in a season. 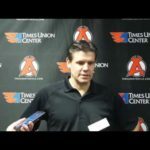 Offensively, Ryan Kujawinski and Vojtech Mozik led all scorers with two points each. Kujawinski had a goal – his sixth – and an assist and Mozik had two helpers. 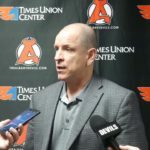 Jim O’Brien registered his 19th goal of the season, Ben Thomson potted his sixth and Joseph Blandisi tallied his ninth. Pavel Zacha scored his first career goal. O’Brien opened the scoring with a wrister from the right circle at 12:29 of the first period seconds after a successful penalty kill. 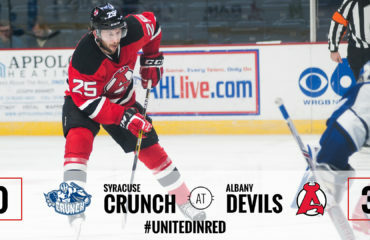 After a scoreless second, Albany found the net four times in the third. Kujawinski went backhand, forehand 29 seconds into the period. Thomson followed at 5:13 and Blandisi scored a power-play goal at 10:54. Zacha capped the scoring at 15:57 on a play setup by Nick Lappin. 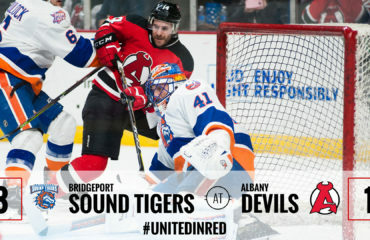 The Devils conclude the regular season Saturday with a 5 pm contest against the Bridgeport Sound Tigers.